Each set contains (3) 5.8 ounce bars of luxurious, triple milled scented bath soaps by Caswell-Massey, one of the first American soap makers. Triple milling ensures a long-lasting bar of soap with fragrance right down to the last sliver. 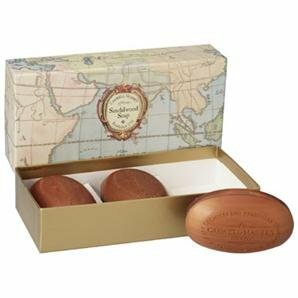 The Sandalwood Woodgrain bar gives off a warm, woody aroma and produces a rich, creamy lather. Sandalwood can breathe new life into dry, aging skin.